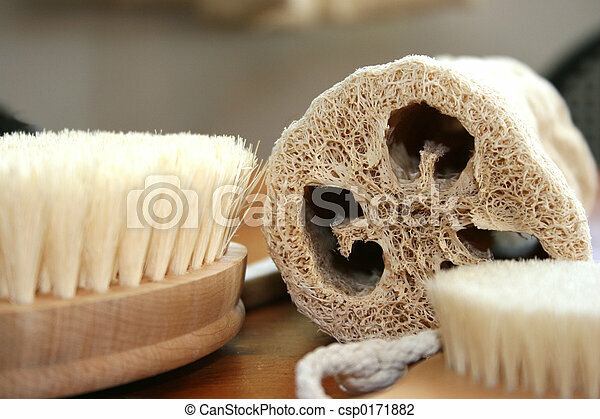 Lufa scrub. 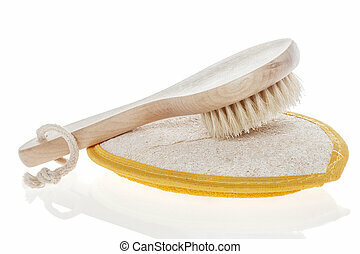 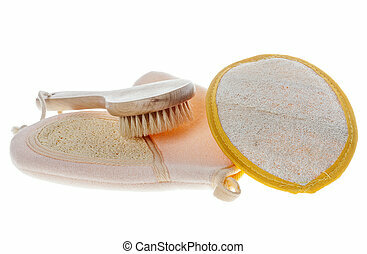 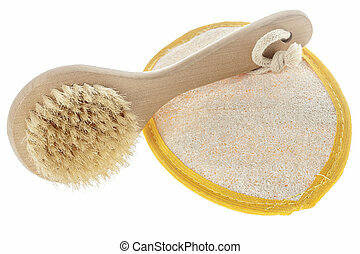 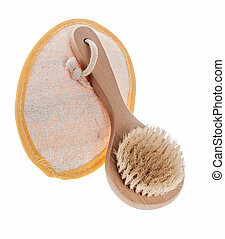 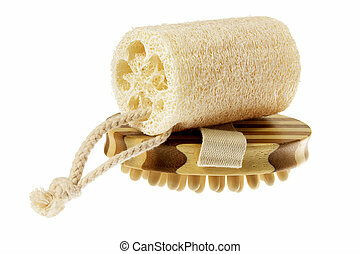 Natural spa accesories lufa bristle brushes and foot brush. 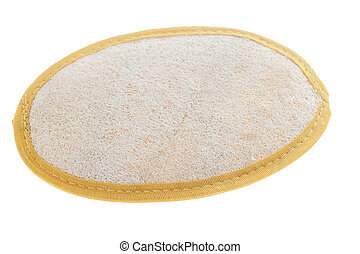 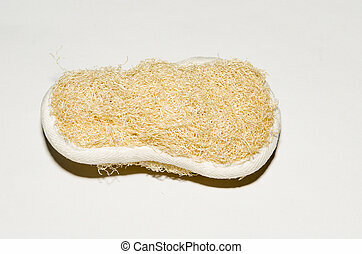 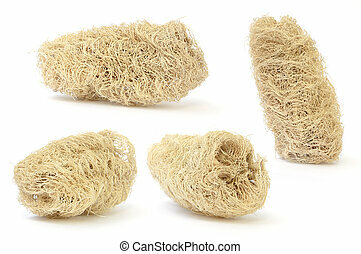 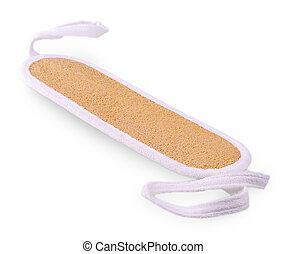 A luffa scrubs isolated from white background. 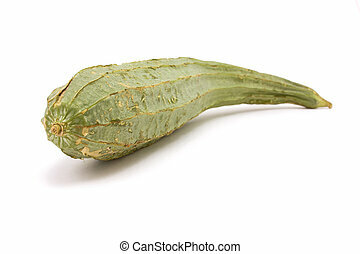 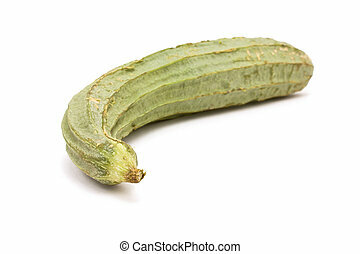 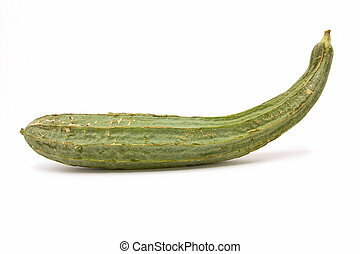 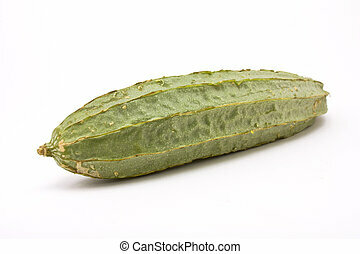 Raw Luffa Squash or Touria used in asian cooking or dried out to scrub your back.